Ever wish you could ask a successful entrepreneur how they did it? How did they take their startup or business idea and make it into something big? 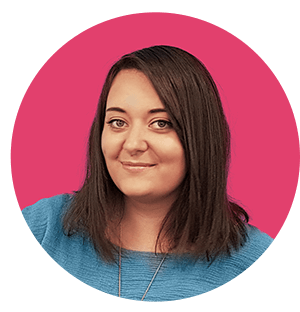 You might not be able to go and directly ask a big business owner for help, but you can do the next best thing: read their advice instead! As we reach the end of 2018, we’re looking back at this year’s best business books that are perfect for startup and small business owners. Whether you’re looking for inspiration, entrepreneurial advice or even a new marketing plan direction – this year’s been a fantastic year for business inspiration. Ever heard of a little company called Google? Without vital investments, some of the biggest companies in the world would be nowhere near as successful as they are today. Or even exist at all. John Doerr, America venture capitalist, has backed some big names over the years; his investments in Netscape, Macromedia, Amazon and Google are to name but a few. But, he claims the key to his success is his own approach to goal-setting: OKRs (AKA Objectives and Key Results). 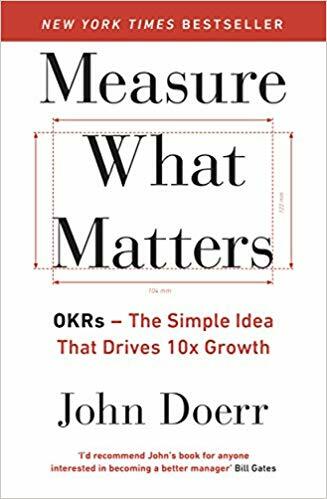 In his book, Measure What Matters, Doerr spills the secret behind OKRs to help small businesses like yours focus on prioritisation. 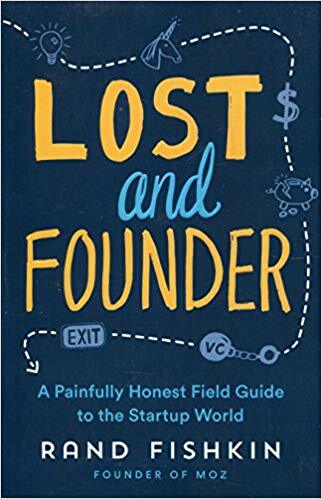 There are loads of first-person success stories included in this book – featuring big characters like Bono and Bill Gates – to show just how successful OKRs have proven for a range of different companies. 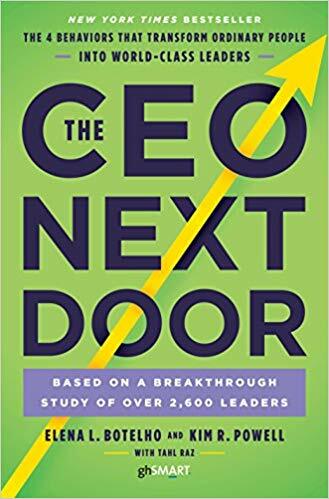 The CEO Next Door: The 4 Behaviours that Transform Ordinary People into World Class Leaders by Elena L Botello et al. Did you know that only 7% of today’s CEOs went to a top school? This book forces you to rethink everything you ever thought about starting a business. Jam-packed with indepth analysis of over 2600 leaders, 17000 CEOs and 13000 hours of interviews, calling this book an ‘insight’ is definitely underselling it. By learning the traits and ways of the pros, there’s a good chance you’ll pick up some of the behaviours that lead to success. This is also a great read if you’re looking to really boost your leadership skills! A book that proves women don’t have to sacrifice their values or personality to successfully run their own business. If you’re afraid of looking ‘nice’ and weak, but don’t want to come across as mean if you’re tough, we’d wholeheartedly recommend reading this. Filled with real-life anecdotes, this is a relatable, pro-feminism read for empowerment and inspiration. 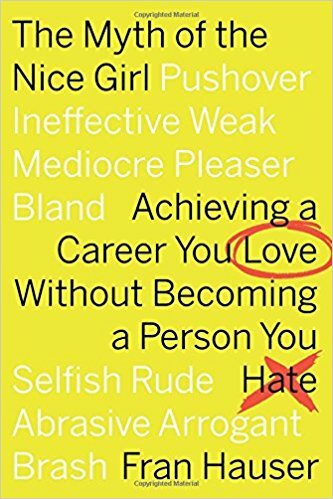 Ideal for smart professionals who want to take the next step in their career without becoming someone they hate. Sometimes the best ideas come from mistakes. And that’s not a bad thing. If you’re not a big reader, this picture book takes you right through the creative process using art. With very minimal, quite funny text, the artist uses her mistakes to create new possibilities. 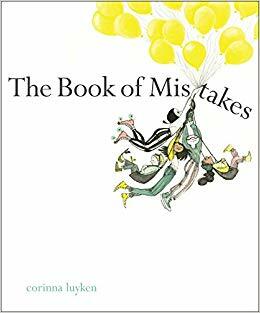 This book proves that improvisation is often a crucial aspect of creativity and that you don’t have to focus all of your energy on being perfect or having to ‘fix’ everything. This is not just a book for leaders or creatives, the thinking behind this process appeals universally. In a world of subscription-based companies like Netflix and Spotify, it’s important that your business isn’t left behind. 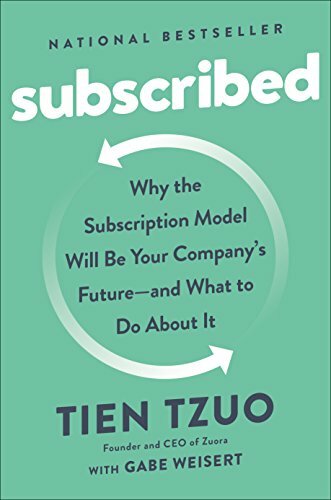 If you’re considering a subscription business model for your own company, this is an invaluable read. 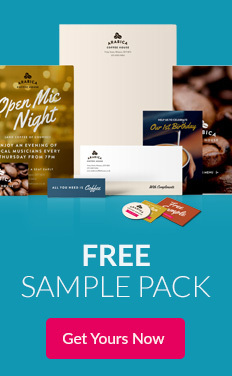 There’s a lot of indepth analysis into this particular kind of business model, including examples of businesses who have found success with subscription (and most importantly, how). Written by the Founder and CEO of Zuoro, the world’s largest subscription finance platform, you’re getting your information straight from the source! Don’t let your biggest goals get put on the back burner. If you’ve ever felt like you spend all your time on the little day-to-day admin tasks, you may feel like you don’t have time to focus on your dreams. Full of actions you can take right now, this plan is great for getting results – especially if you’ve not seen either personal or professional growth in quite a while. This is the book to read if you feel yourself on the brink of giving up on your goals and you’re stuck in a rut. 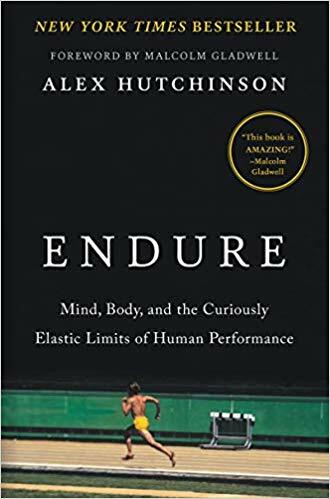 A book about pushing physical and mental limits, Endure is a really interesting read that features stories of men and women who’ve pushed through the mental barrier that’s stopping them from achieving their goals. Basically, the idea Hutchinson explores is that your mind is the thing stopping you from achieving the best you can. It’s filled with fascinating anecdotes, scientific research into heat, oxygen and muscles, and would be enjoyed by fiction and non-fiction readers alike! From high-achieving athletes to restaurant owners and pilots, performing well as a group is essential for your business’ success. An insightful read if you’re in a managerial or leadership position, The Culture Code lets you in to the secrets of some of the highest performing organisations and how they communicate and come together to work seamlessly as a team. Whether your own team of staff works well or not doesn’t depend on their skills sets or intelligence: it’s the environment you create for them. This book teaches you the psychology behind creating a sense of belonging for your employees: get that right and you’ll see the difference. The startup stories you hear all have a similar story: a young entrepreneur comes up with a pretty cool idea, drops out of college and defies all expectations. From Zuckerberg to Gates, there are tons of film-worthy startup stories that are supposed to inspire and show ‘how it really happens’. But is this Hollywood storyline always the case for startups? This is the story of Rand Fishkin, founder of the marketing software company Moz. And he reveals all the ups and downs most CEOs would rather keep secret. Refreshingly honest, Lost and Founder reveals the true nature of starting your own tech company. 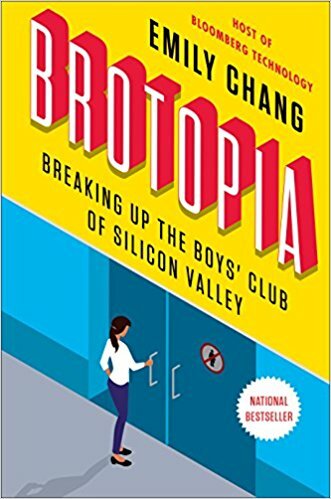 Anchor and executive producer of the daily TV Show Bloomberg Technology, Emily Chang draws on her network of Silicon Valley insiders to spill the beans on the aggressive, misogynistic culture of Silicon Valley. Speaking to successful business women, such as YouTube CEO Susan Wojcicki, Brotopia is another empowering, pro-feminism read to help you break through in your business. Well-researched, this book is chockful of research, anecdotes and interviews that are relatable no matter your gender. 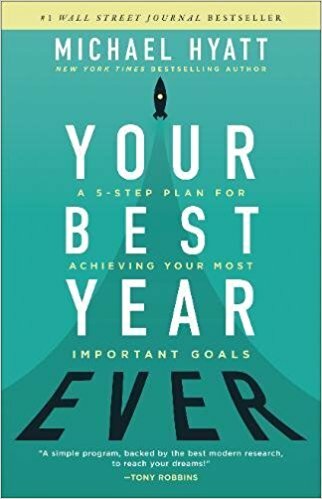 Whether you’re just starting out in the business world and looking for a way in, or you’re after ways to improve how you work in your current small or medium sized business, 2018 has been a fantastic year for entrepreneurial books. Gaining advice and an insight into some of the biggest, most successful business is a great way to review how your own startup is performing – and also how well you’re working towards your goals. We hope this reading list has given you a solid foundation of where to start learning the tricks of the trade. 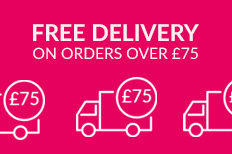 Let us know if we’ve missed your favourite 2018 business book on social media by tagging us @instantprintuk or #instantprintuk!